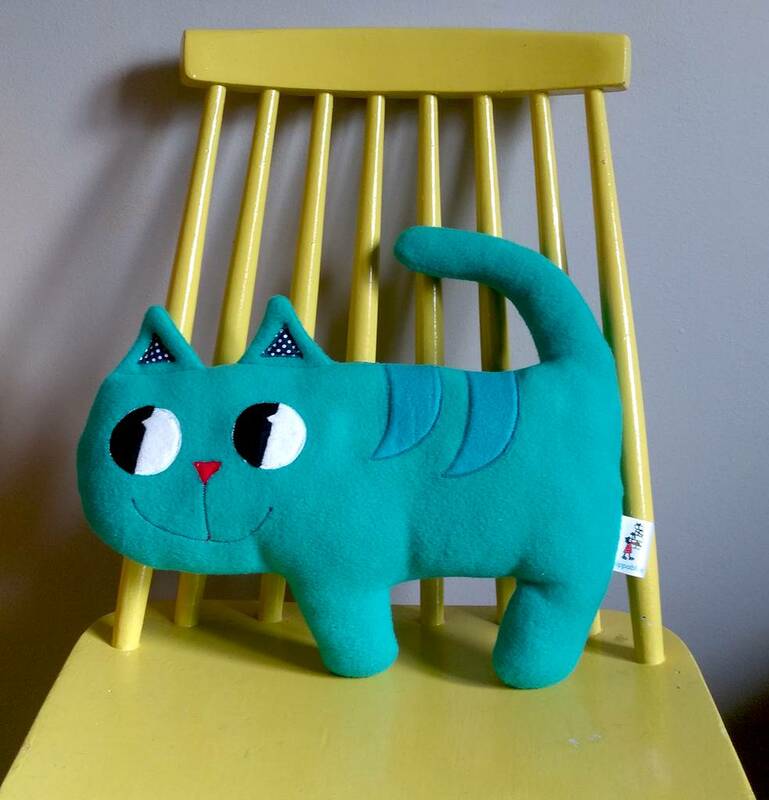 A cuddly cat shaped cushion with a happy smile. This fleecy cushion would make a colourful addition to any child's bedroom. 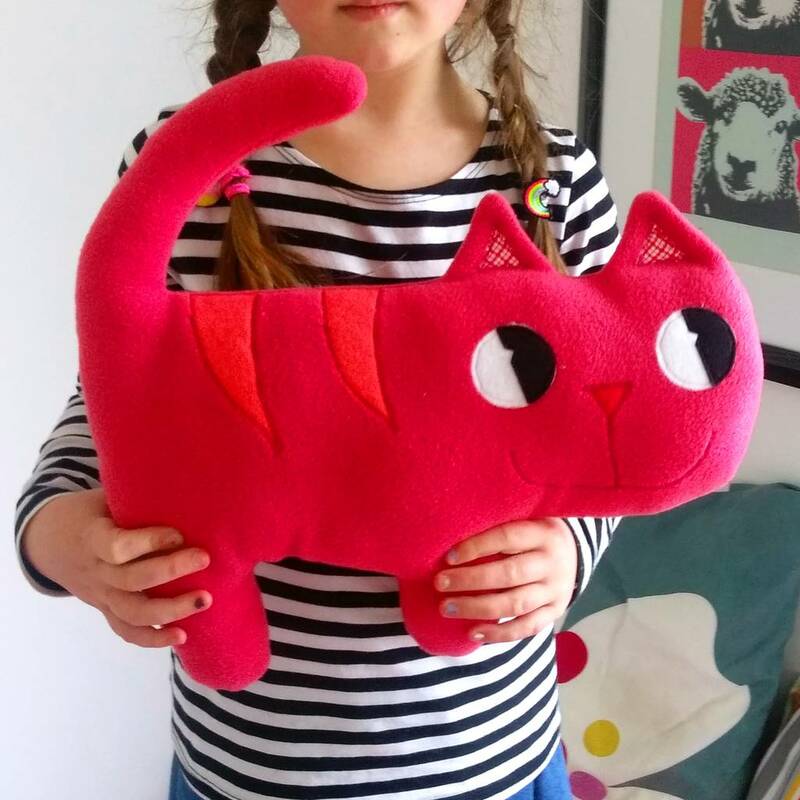 Handmade in Ireland, using high quality fleece, this Happy Cat Cushion is a perfect gift for all ages. This product can be gift wrapped on request..
Our Happy Cat Cushion is available in Cerise pink or Jade green. 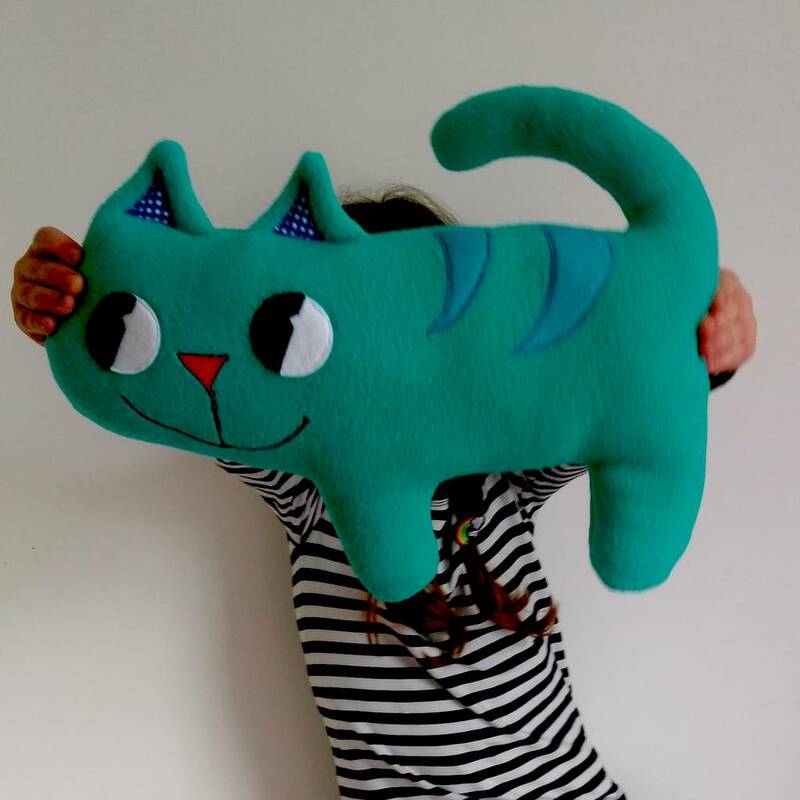 The body of the cat is made from fleece with wool felt detail. The cushion is stuffed with polyester toy stuffing and made in accordance with CE standards. This cushion can be machine washed at a low temperature. This product is dispatched to you by Pippablue.